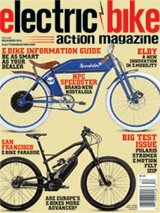 Harley-Davidson, the motorcycle brand that’s as American as apple pie, is now investing heavily in electric bikes. Their initial prototypes were called the “Livewire”, and put out in front of the media and the public to gauge response. Apparently, H-D thinks it will be worth the gamble on the future. The first electric motorcycle may be called the “Livewire”, like the prototype, but H-D has also trademarked the name “Revelation”. They’ve been recruiting new talent in the EV space to help them expand into the electric world. In addition to bringing out a larger platform, a la the Livewire, they’re planning mid-size and smaller platforms to go after the market currently dominated by electric scooters, mopeds and top-level electric bicycles, targeting the emerging Asian market heavily. The company is also bringing out a line of modular 500cc to 1200cc middleweight plaform ICE motorcycles that spancs three different product spaces and four displacements, including their first adventure touring bike, the Pan America 1250, as well as a 1250 custom model and a 975cc Streetfighter, slated for 2020 release. There will also be an Asian-market-specific line of small displacement (250-500cc) bikes through a strategic alliance with an Asian manufacturer. They have their eyes on the fast-growing Indian market with these. They plan to have production Livewire units on sale by August of next year.